Whether it’s one employee or one thousand, Taron Bookkeeping and Consulting provides payroll services that will help you make sure your employees get what they deserve. Based in Southwestern Ontario, Taron has been assisting small and large business in the London and Windsor Ontario regions as well as Michigan prepare and manage their staff payrolls for more than 20 years. 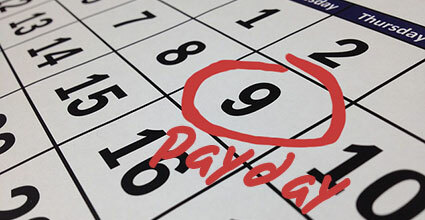 Payroll involves more than just getting the paychecks out each week and making sure they can be cashed. Your employees may receive more than just a paycheck. We help you figure out the financial cost of each employee through wages earned as well as other benefits. As your business grows you’ll find it necessary to hire more people. At some point your business growth will result in a need to high a professional to look after payroll administration. We can take care of all your payroll needs including CRA returns and remittances in a timely manner. While each of us does what we do best, your business will expand that much faster. In addition to employee earnings, we provide our expertise when it comes to human resources issues. We are highly knowledgeable in the Health and Safety Act, WSIB, Labour Board Regulations and benefit management. Let Taron Bookkeeping handle the creation of all of your employee documentation, policies and procedures and benefit documents so that you can be sure you are in complete compliance with all the regulations of the Labour Board. Need help with the payroll services of your business? Start with an initial Business Consultation meeting to learn how we can help. Call us at (519) 977 4459 or send us a short message.